Notes: When the line opened Godmanchester was called Huntingdon but when the line was extended into Huntingdon on 1st May 1883 the station was renamed Godmanchester. The Ely & Huntingdon Railway was authorised by Parliament to build a line from Ely to the market town of Huntingdon but because of monetary difficulties only a short section of the line was built between St. Ives and Godmanchester, one mile short of Huntingdon. 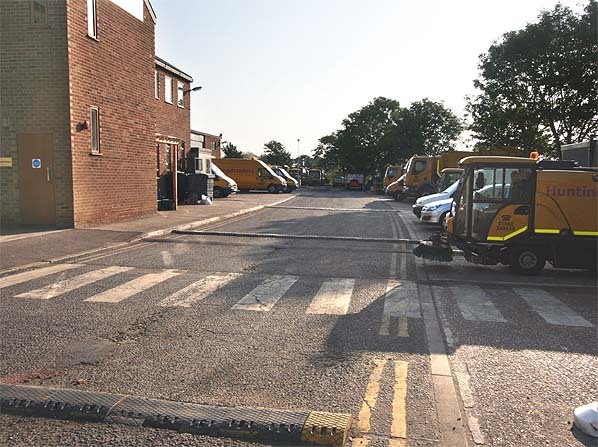 The line was just over 4 miles long and opened on 17th August 1847 the same day as the Eastern Counties Railway opened its line from Cambridge to St Ives and although a mile from the town the western terminus was still called Huntingdon. The E & H merged with the East Anglian Railway who in July 1849 obtained an Act to extend the line from St. Ives to Ely but the authorised time for construction lapsed and the line was subsequently shelved. The service to St. Ives was reduced to a horse drawn service from October to December 1849. The GNR reached Huntingdon, closer to the town centre, from Kings Cross in 1850 and also naturally called their station Huntingdon. & Huntingdon line close to the Huntingdon GNR station. 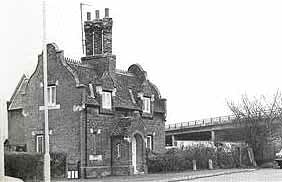 To avoid further confusion the original 1847 Huntingdon Station was renamed Godmanchester. In the same year the Ely Haddenham and Sutton Railway opened a line between Ely and Sutton, this was finally extended to St. Ives by the Ely & St. Ives Railway on 10th May 1878 allowing through running over the GER line to Huntingdon. A feature of the St Ives-Huntingdon line was a number of weak wooden-built bridges crossing and re-crossing the river Ouse near Godmanchester. Only light locomotives could be used and the bridges remained a constant fire hazard from sparks in dry weather. The line had a speed limit of 40 mph but over some bridges it was reduced to 10 mph thus restricting the potential of the route. 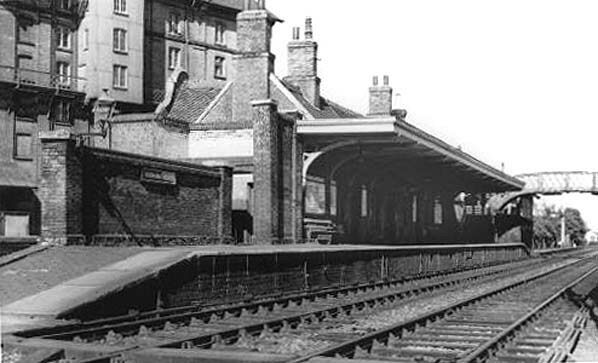 Huntingdon Station was renamed Huntingdon East on 1st July 1923. Just prior to the Second World War, Huntingdon East was busy serving both LMS and LNER trains but despite such activity the line to St Ives closed to passenger traffic on 15th June 1959 although a Fridays only train a service first introduced by the GNR continued to run until 18th September 1959. Occasional excursions and military trains continued to use Huntingdon East into the 1960’s. 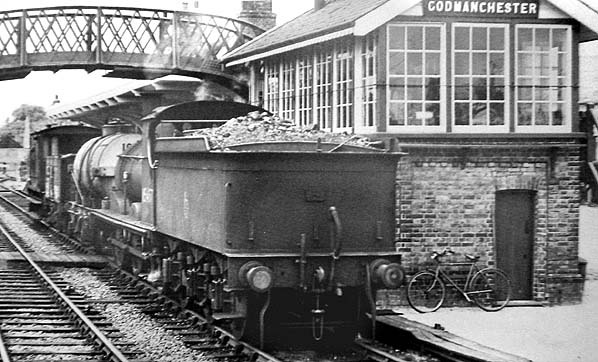 A freight service to Godmanchester was maintained until 4th June 1962.